The onslaught of tech information is relentless. 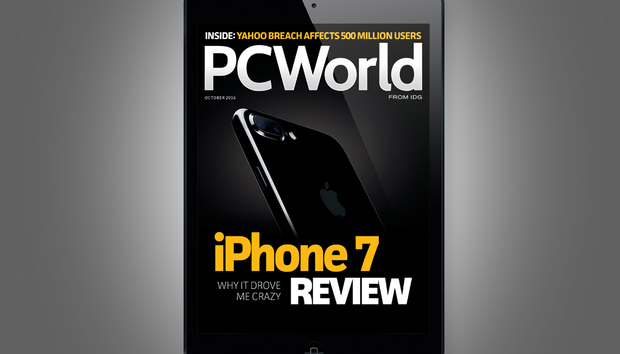 Stay on top of the latest with PCWorld’s Digital Edition. Available as single copies or as a yearlong subscription, it highlights the best content from PCWorld.com—the most important news, the key product reviews, and the most useful features and how-to stories—in a curated Digital Edition for Android and iOS, as well for the desktop and other tablet readers. We review the newly released iPhone 7 and the compelling $200 EVGA GTX 1060 3GB graphics card. Cord cutting is a bigger bargain than ever: Cable-TV apologists keep offering the same tired defense. When will they learn? 9 Reason Why PC Gaming is a Better Value Than Consoles: The PlayStation 4 Pro and Xbox Scorpio drive the point home. iPhone 7 and 7 Plus FAQ: Everything you need to know about Apple’s new phones. Lenovo ThinkPad X1 Yoga: This 2-in-1’s OLED screen will color your computing world. LG V20 hands-on: A 5.7-inch phablet for smartphone content creators. Consumer Watch: Why Google plans to stop supporting your Chromebook after five years. Here's How: How to repair Windows’ master boot record and fix your bricked PC. • Watch: our iPhone 7 and Lenovo Thinkpad X1 Yoga reviews. Plus, learn how to make a Windows 10 recovery drive and learn more about different USB drive file formats. And, we show you five high-tech gadgets for your next cookout. Current subscribers can visit PCWorld.com/directions to learn how to access PCWorld on any device and start reading the October issue right away. We're also excited to announce that we upgraded our system for customer service and downloading issues. A password needs to be created and attached to your account. Go to pcworld.com/customer to create a password for your subscription. Not a subscriber? With the PCWorld's subscription, you get access to the digital magazine on as many devices as you’d like. Subscribe today, or to learn about other purchasing options visit PCWorld.com/magazines.